MaxNRG Personal Training is a mobile fitness trainer service that has been operating in Melbourne since 2005 (over 10+ years!) and was established by experienced and highly qualified physical fitness professionals. 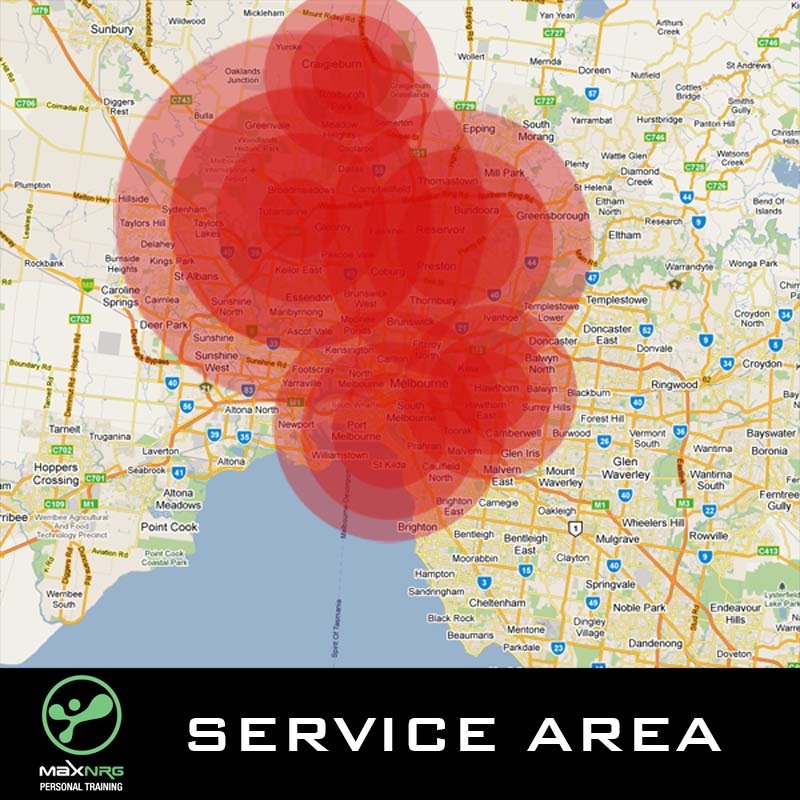 We operate throughout Melbourne and Melbourne’s northern suburbs and focus on delivering a personalised fitness service to our clients whether it be in their own homes, the local park or a private gym environment. Our trainers are fitness professionals who have been in the health and fitness industry for many years and our team has a wide range of various experience. We have trainers who have 3-4 year exercise science degrees, we have trainer who have their Masters of Clinical Exercise Science and Rehabilitation, as well as trainers who are studying osteopathy as well as Exercise Physiologists and a qualified physiotherapist. It is one of the main areas that separates MaxNRG Personal Training from other personal training companies. Besides the experience each of our trainers have from physically training clients, we also have the tertiary education to have a greater understanding of health and fitness than what you would get from a trainer who has completed a 8-12 week certificate in fitness. We know that going to the local gym is not for everyone and that they can often be an intimidating place for most people. MaxNRG can also appreciate that finding the motivation to get to the gym can be difficult, let alone getting the piece of equipment you need, and having a exercise program that is going to get you the results you want. That’s where we fit in! MaxNRG is a mobile personal training unit that supplies all the necessary fitness equipment at each of your exercise sessions that comes to YOU. We guarantee to make sure that YOU feel completely comfortable and aim to create a safe and fun environment where YOU can train to YOUR personal best. We have a strong belief that all personal trainers should be able to adapt their programs to meet the needs of each individual. MaxNRG also prides itself on its team of personal trainers who are friendly, enthusiastic, dedicated and highly qualified that can guarantee that you will always feel comfortable in your surroundings during your exercise sessions. As personal trainers we thoroughly enjoy watching our clients reach their goals and make positive changes to their lives and general well-being. At MaxNRG we promise that our professional trainers will be there with you all the way, motivating you through each session as we lead you towards your ultimate fitness and health goals. You will be amazed with what you can actually achieve when given the correct guidance and support. We promise that fitness and exercise can be enjoyable when performed with the right mindset and positive environment! Our number 1 goal is for you to reach yours! The service areas in which MaxNRG Personal Training operates in is continually expanding, so please don’t hesitate to contact us to enquire about your area.